Fished the bridge this morning for about 2 hours starting around 9:30. I was using squid strips and spearing and caught nothing. I did however get a couple small bites that would rip my bait off right before the hook, I'm guessing those were snappers? I'll be bringing my ultra light tackle next time I go. Fished the bridge for about an hour this afternoon using spearing. Didn't catch anything but the snappers were ripping my bait apart. They're still kinda small though, maybe 3 or 4 inches. Tight lines guys. 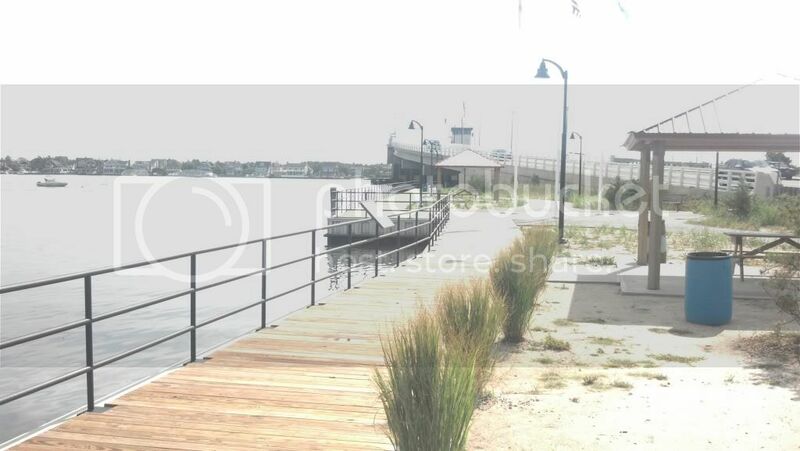 Does anyone know how to calculate high tide here using the manasquan inlet chart or any other chart fir that matter? Select Barneget Bay - Mantoloking and your date range. That is the site I always use Chris. Easy enough to use. the bridge was PACKED today. That's not good. I was going to give it a shot on Saturday. a few years back I had my boat at the Mantoloking Marina (believe its called brick municipal marina now)right next to the bridge. That spot was ALWAYS packed! Anyone know what happened here? I drove by to see a fence around it and a no tresspassing sign. I was hoping to fish here today or tomorrow but I guess I need to find another place now. Hopefully is was just to keep people off the pier during the storm. But they are building that new park there, so it could have something to do with that. A new park has been built at this location with upgrades to the existing facilities. It's a great improvement. 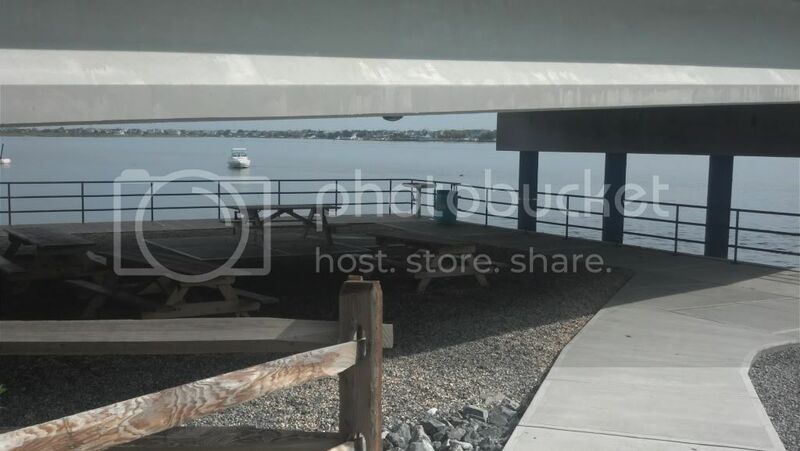 The upgrades include a large paved parking lot, permanent restroom facilities, benches, picnic tables, canopies, new walkways, a new 50ft dock on the north side, all new bulkheads with boardwalk and rails. There are fish cleaning stations with running water in two locations. 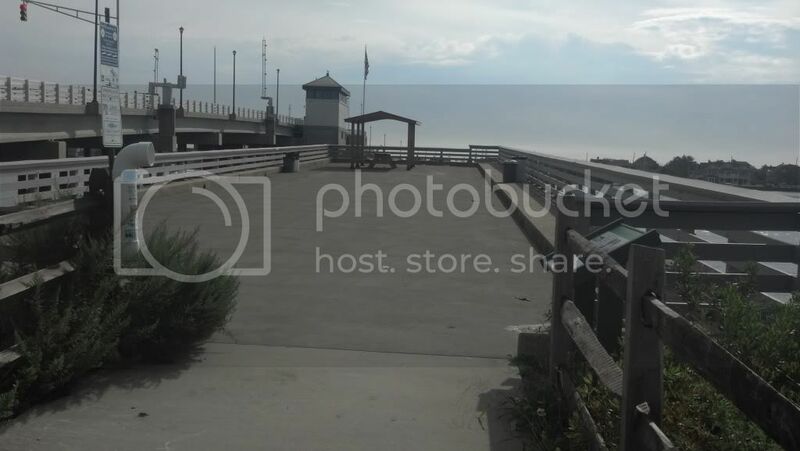 The existing fishing pier (old bridge) has been resurfaced and a canopy and table added. The area on the south side on bridge now has a bulkhead and walkway. It's a great improvement to a prime fishing a crabbing spot in the area. And increases the functionality of the space and the usable space. 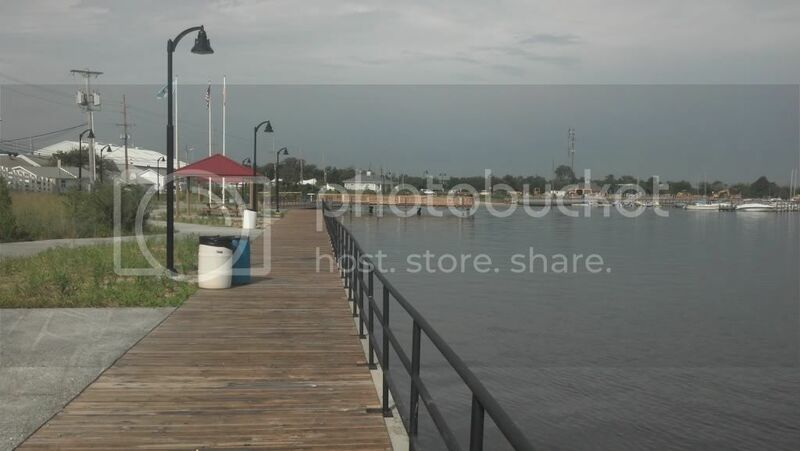 -Work is still ongoing to the marina portion of the project, but that has no effect on the park portion. Is there a gas dock just to the south (right if on it)? I think I met Don from Cannyon Reels there for a reel swap once. The crabbing is good there? Fred, fishing the "Kristy Marie" from Manasquan River Club. Channels 16/67/68. Crabbing around the bridge is typically pretty good. Aside from land based crabbing, a decent number of boats usually anchor just to the north of the bridge for crabbing. Ok, I think thats the one. I actually did the same thing in the winter looking for some winter flounder but caught nothing but crabs that day.